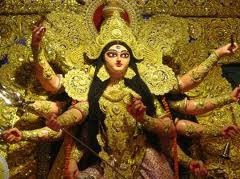 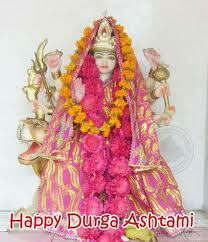 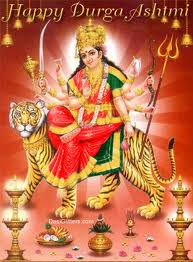 Today 22 Oct 2012 is Celebrated Durga Ashtmi and durga Pooja. Durga Ashtmi is Celebrated all Hindu Festival.Today People doing Durga Pooja and Havan.Celebrated during the time of Durga Navaratri is the famous and a significant Hindu festival called Durga Ashtami. This festival is celebrated as a memory of the day where Durga came out victorious over the demon buffalo, Mahishasura. 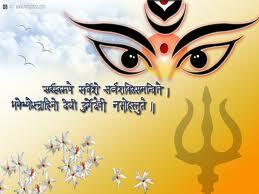 Devotees of Durga recite many mantras of Durga on this auspicious day and seek for her blessings. 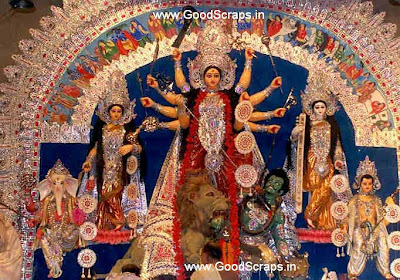 Mahishasuramardhini the other name of Durga, and also Durgashtami is also known as Mahashtami which is one of the important days of Durga puja where several people carry out fasting on this day. 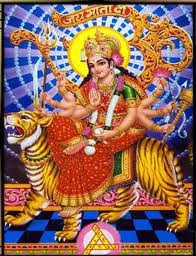 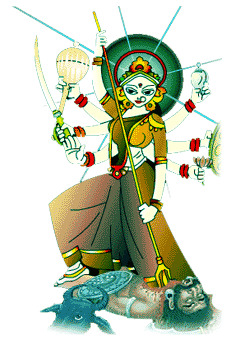 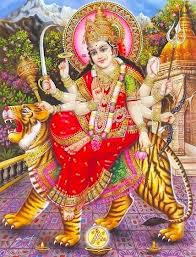 Astra puja, a ritual of worshipping the weapons of the Great Goddess Durga is carried out on this day. 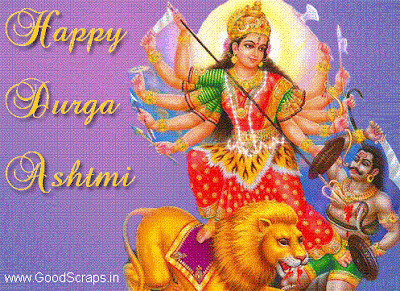 The day is also called as Virashtami, on account of this there are many shows put on for the display of martial arts and use of arms. 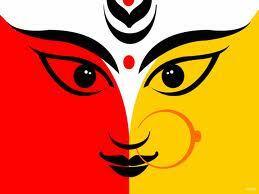 During the period of British Raj in Bengal, the gradual increase in the importance of Durga Puja started. 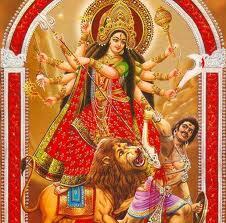 She had also become the icon of Indian independence movement since Hindu reformists resembled Durga with India. 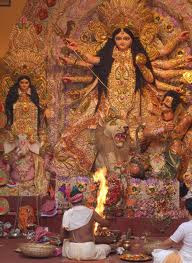 For this matter of fact a tradition of Baroyari or community puja became famous in the 1st quarter of the 20th century. 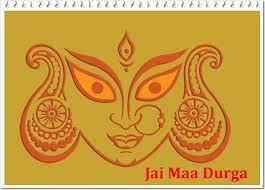 Durga Puja stood one amongst the largely celebrated festivals in the entire world soon after the Independence. 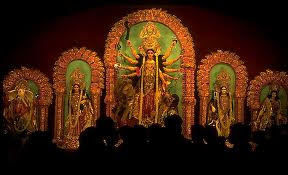 Mahishasuramardhini’ which is a radio famous programme since 1950s starts off the mood of the Durga Puja. 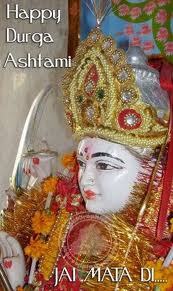 This programme used to be aired live before but now a recorded version is broadcasted. 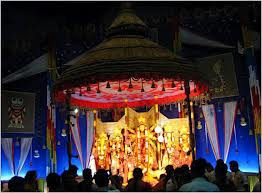 In this programme late Birendra Krishna Bhadra, and also late Pankaj Kumar Mullick’s recorded voice of enchanting the hymns of the scriptures from Chandi or Devi Mahatmyam is listended by traditional Bengalis waking up early in the morning at 4. 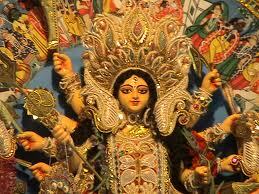 This programme is aired on All India Radio on the day of Mahalaya. Durga Puja is a festival which is also said to be the festival of Good Winning over Bad, Ma Durga winning over Mahishasura. 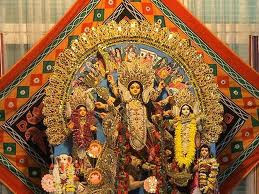 Durgashtami day overlaps with the next day to end with a Sandhi Puja, puja performed for the overlapping of Durgashtami with Mahanavami and Dusshera.